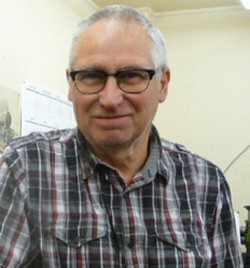 "Over the last 20 years I have built some 50 locomotives in Gauge 3 as private commissions. As an award winning model maker I was happy to provide my extensive experience in this gauge to assist Silver Crest in delivering an exciting range of great value G3 models". "I am absolutely delighted with my Kingscale G3 Britannia. It fully lives up to the promise outlined in the brochure. All concerned in the research, design and creation of this model deserve praise for making a superb piece of mechanical engineering at an affordable price"
Gauge 3 models run on 2.5" gauge track. It is one of the five standard model gauges recommended by a subcommittee of the Society of Model Engineers on 1st February 1899. Gauge 3 denotes that the models are fine scale and intended for use on a scenic railway pulling scale coaches and trucks. The very best model railways in G3 feature stations, engine sheds, buildings and other infrastructure features. 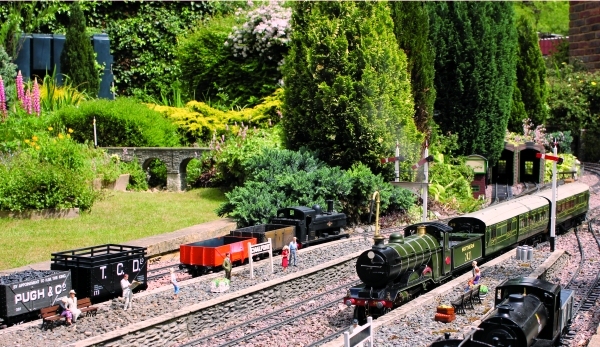 To bring this miniature world to life many populate their layout with little people. Locomotives are generally gas, or coal-fired, and often fitted with radio control. "Gauge 3" is so named to distinguish it from the generally less well detailed examples employed by the 2.5" gauge fraternity who sit behind their models and drive them. There are some beautiful garden railways in Gauge 3. The locomotives are built to a near perfect 1/22.6 scale which is the same as the popular narrow gauge LGB range of models. This means that a whole range of accessories, including buildings, are readily available. The locomotives are considerably larger than Gauge 1 models which are typically built to 1/32 scale and yet they are priced similarly. This difference in scale delivers a locomotive approaching three times the volume of its Gauge 1 equivalent. This provides a very real presence on your outdoor garden railway that Gauge 1 cannot hope to match. Gauge 3 is truly the king of the model railway gauges. 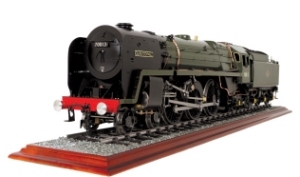 A Gauge 3 Britannia Class model was Silver Crest's first model following its incorporation in 2010. We decided to call our live steam range "Kingscale" simply because it was, in truth, the largest of the scenic modelling gauges. The range was introduced to meet the need for ready-to-run, traditionally engineered, live steam locomotives in G3. We deliberately priced out G3 models at a comparable level to a (smaller) G1 model of similar specification. The Gauge 3 Society will welcome you as a member and you can look forward to a number of get-togethers at members tracks across the country throughout the Spring/Summer season.